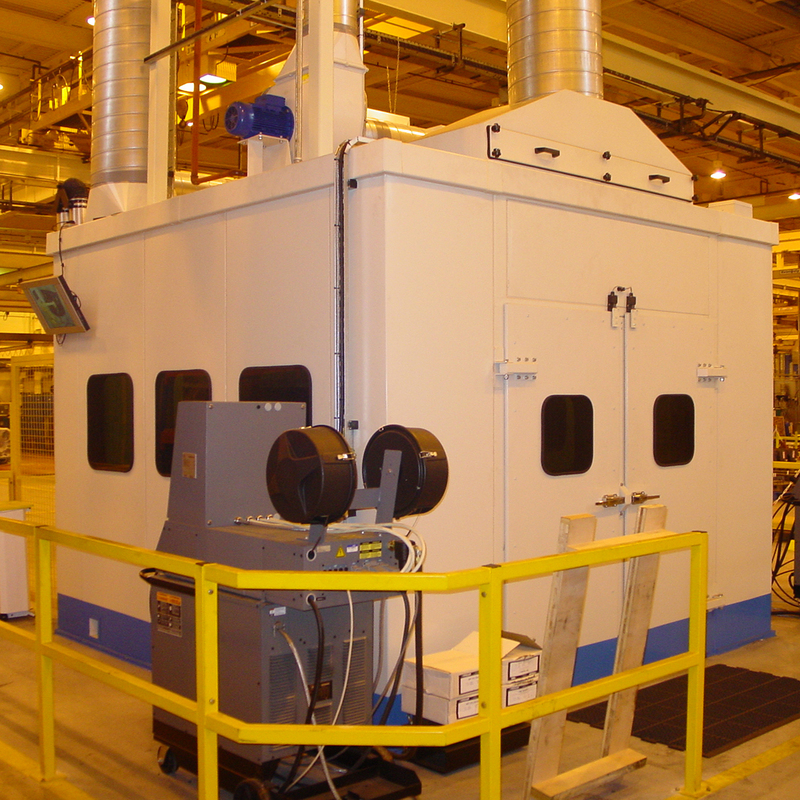 Grinding, fettling, deburring, sanding, metal spraying: if your processes produce dust or other particles, a Climavent dust extraction booth will help contain and collect that dust, leaving your workspace safer and cleaner. We build every booth to your specification, and can tailor and customise every element of your booth to match the way you work, from basic dimensions to access doors or curtains; sound dampening properties to dry or wet filtration for flammable particles. 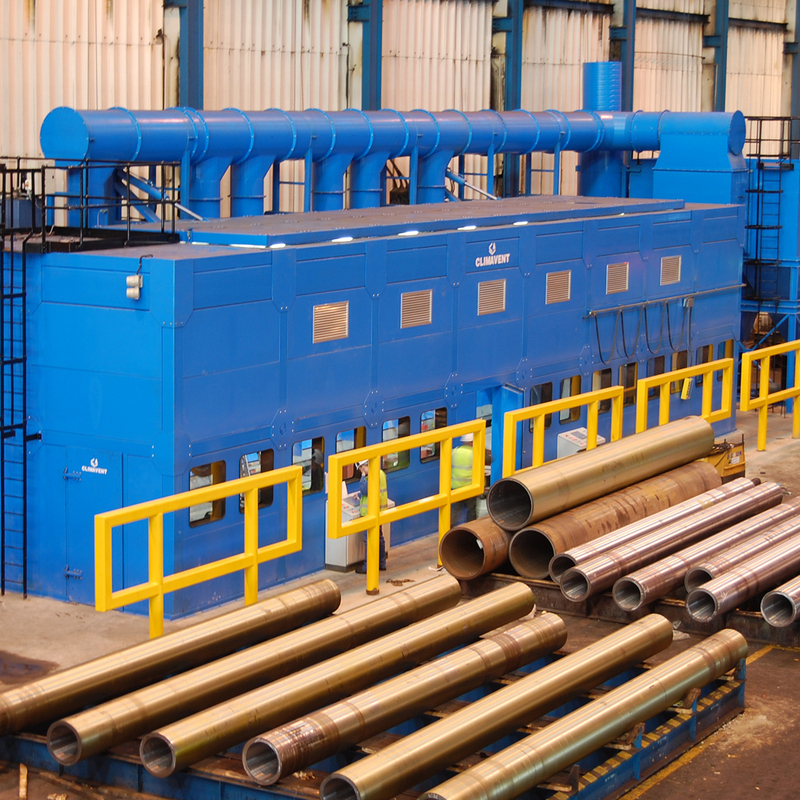 Each dust extraction booth makes processes simpler and quicker, with turntables, custom designed trestles and mechanically operated roofs that enable larger items to be winched in. For noisy processes, talk to us about sound attenuated booths which will reduce noise levels in the rest of the workspace. And for larger production requirements, ask us to design a series of dust extraction booths linked to a single, centralised extraction unit. 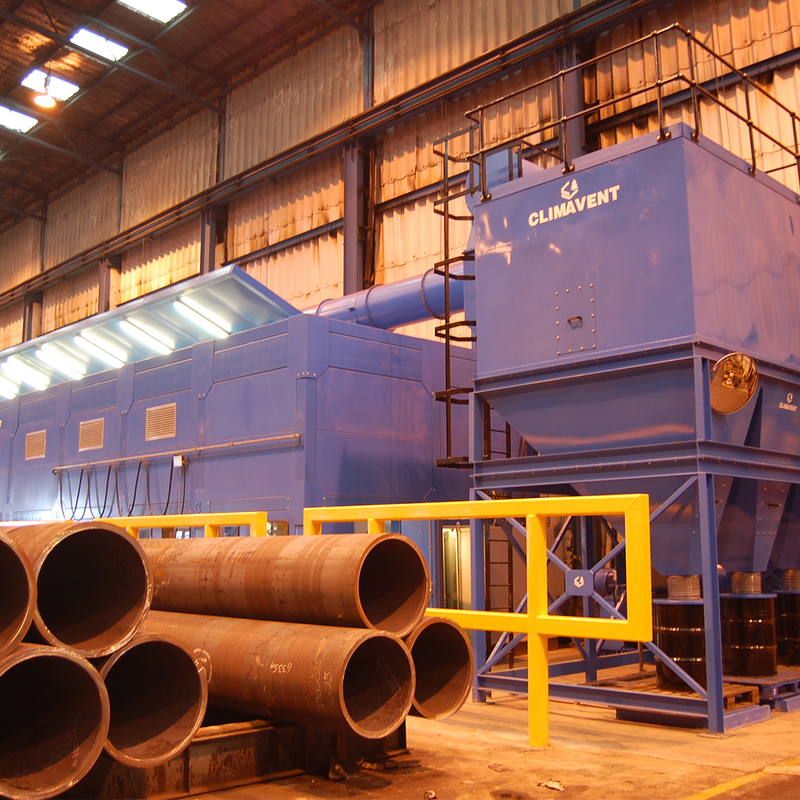 Across the UK, Europe and the Middle East, global brands choose Climavent engineers to design, supply and install their dust extraction booths and accessories. We’d love to show you what we could do for you.